My four year old nephew is starting “big school” this week and I’m a little bit jealous. Not about the academic / educational side of things, God no! I’m envious of the fun stuff like buying a new pencil case and colourful school bag. This will be the first time he starts wearing a uniform too. I adore fashion but sometimes I get so overwhelmed by the amount of clothes I have and I wish had a daily uniform for my laziness. Recently I’ve started adopting a type of ‘off duty’ uniform I suppose you could say. It consists of a jumpsuit (zero thought required), gold jewellery, white boots and a transparent bag. I’m sure my nephew looks much cuter in his though…. ! Confession time: I am a total foodie. No seriously, I can remember exact meals in exact restaurants from years ago. From the starter, to the desert to the wine. Can eating out be a real hobby? Well, I’m declaring it one! It’s honestly one of my favourite things to do in life- experience new food in new places with people I love and have good conversations. One of the best things about living in a cosmopolitan city like London is the endless amounts of restaurants to try. I have a never ending list of places I still need to try . However, since I just celebrated my one year anniversary of living in the city I think I’m in a fairly good position to share my favourite spots like a true native! If you are visiting the city buckle up for an amazing food rollercoaster! This tapas bar located in Exmouth Market is kind of a hidden gem that never fails to satisfy all my taste buds. The menu is interesting and exciting- offering plates of deliciousness with Spanish and North African flavours. Think spiced lamb, aubergine, pomegranate with pine nuts with a side of flatbread for dipping… is your mouth watering yet?! 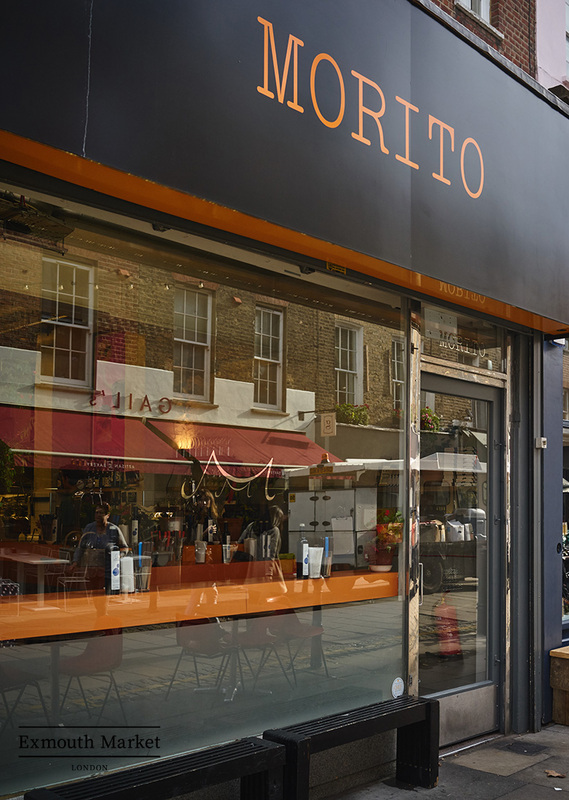 Sit at the bar for the essential Morito experience. 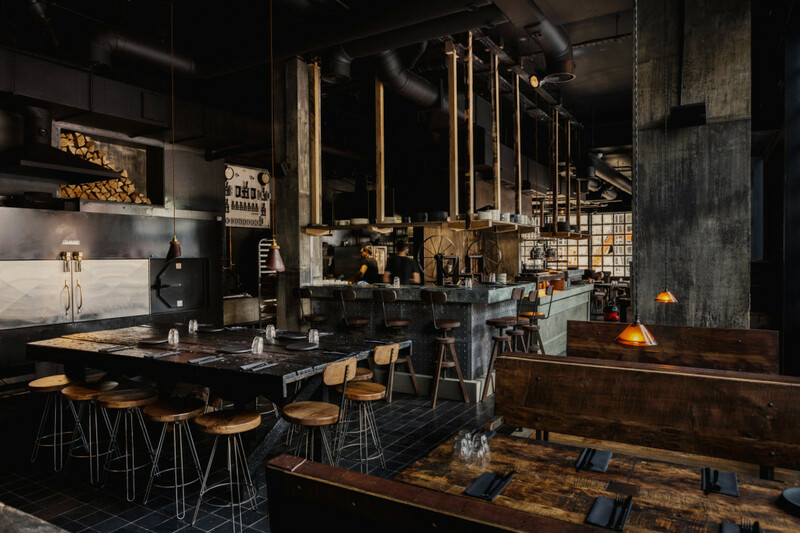 The vibe is buzzy and cool - perfect for a date night or catching up with friends. This is my old reliable. I definitely go here once a week because I simply crave it. I have no shame in going on my own too for dinner. One week I did go a record three times- don’t judge me! So what’s it all about? Well when a restaurant that has 5 locations can ask people to wait a whopping 2 hours on any given day you know they must be doing something right (and printing money at the same time!). The menu is quite small although there are daily specials. You order a steak that comes on a board along with your sauce of choice, and some sides. The beauty lies in the quality of meat, the consistency of the food, flavoursome sides and a great selection of wine. Also, it's brilliant value! Insiders tip: the Covent Garden location gives you tokens for ice cream cones on the way out. 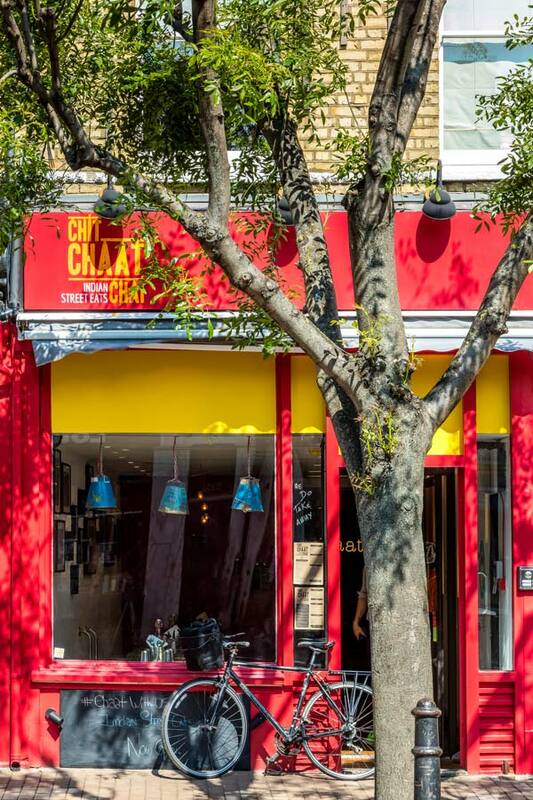 If you ever find yourself in sleepy Wandsworth Town you have to try this place! A terrible location for an excellent restaurant, given the lack of foot fall around that neighbourhood. If NYC nails Italian food and LA nails Mexican and Japanese food then London can definitely take the medal for Indian food. I never thought I liked Indian food until I moved here! This is the best Indian restaurant I’ve ever been to, just a notch above of Dishoom. The Indian street food plates are fresh and oh so satisfying. It’s pure carbicide and you may need a nap afterwards! I stumbled across this place one Sunday when I was wandering through Brick Lane market. My boyfriend lives and dies by Google reviews of restaurants so when we saw it was a rating of 4.5 we knew we had to try it. And wow talk about a death row meal experience. It’s the most succulent barbecued food along with tasty (probably not healthy) vegetable dishes. Make sure you get the sticky toffee pudding for desert. 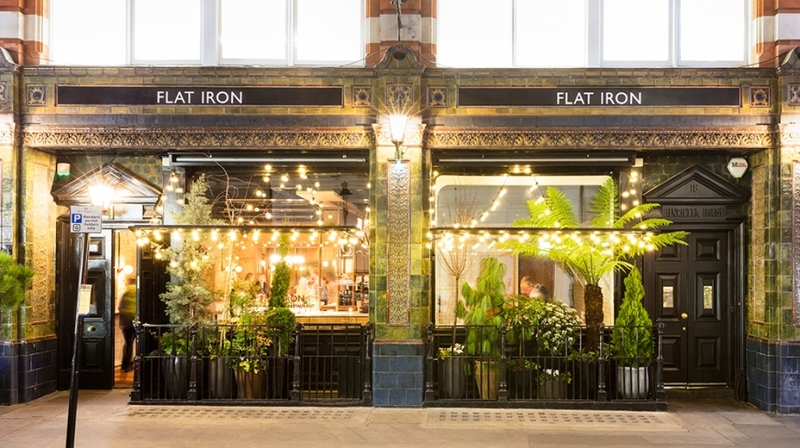 This beautiful little restaurant feels like you are transported to some where on holidays- especially on a sunny day in London. Just off Kings Road in Chelsea, it’s romantic and cosy at the same time. Trendy without trying too hard. 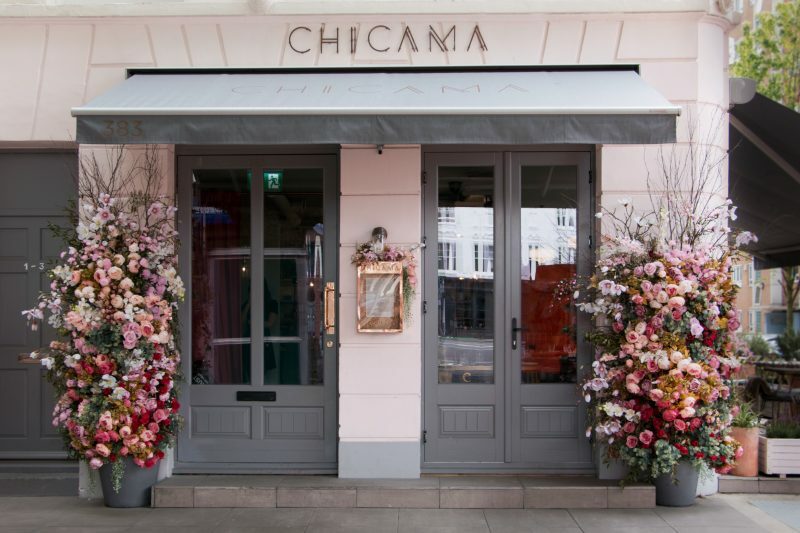 The dishes are Peruvian seafood, perfect for sharing plates and copious amounts of Rose. The service is excellent too. No one in the world does individual eclectic style quite like Londoners do. They seem to have a strong sense of themselves and a pure confidence. It’s a lesson we could all learn from. I adore making things my own when it comes to fashion. No one wants to be a sheep or slave when it comes to style. Scarves and keyrings are the perfect way to instantly update a bag, your wrist or your hair! I also love this belt from Topshop that came with the chain around it but you could easily use some jewellery around a belt too. 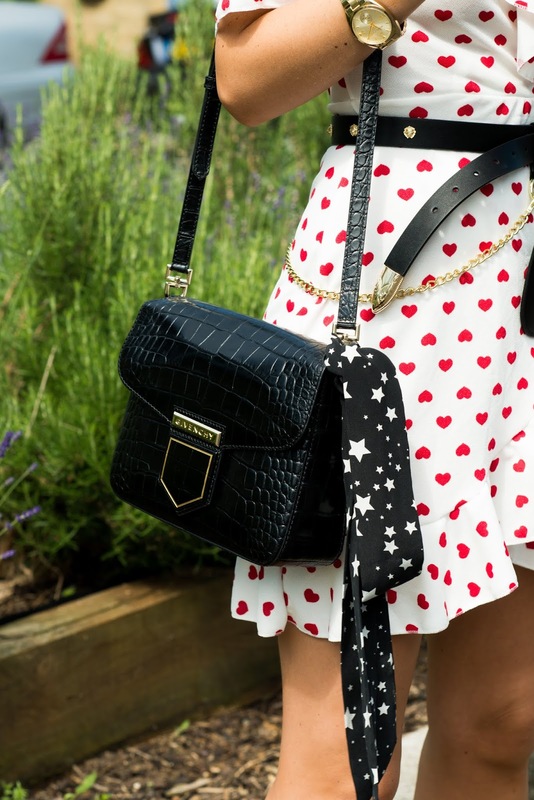 Here I juxtaposed this super girly heart dress with biker boots and mixed prints. Personalisation and unexpected touches are the way forward for 2018 and it allows you to become a bit more of a sustainable customer by reusing and remixing clothes. Yes, sustainability is possibly the biggest trend which is set to rock the fashion world. 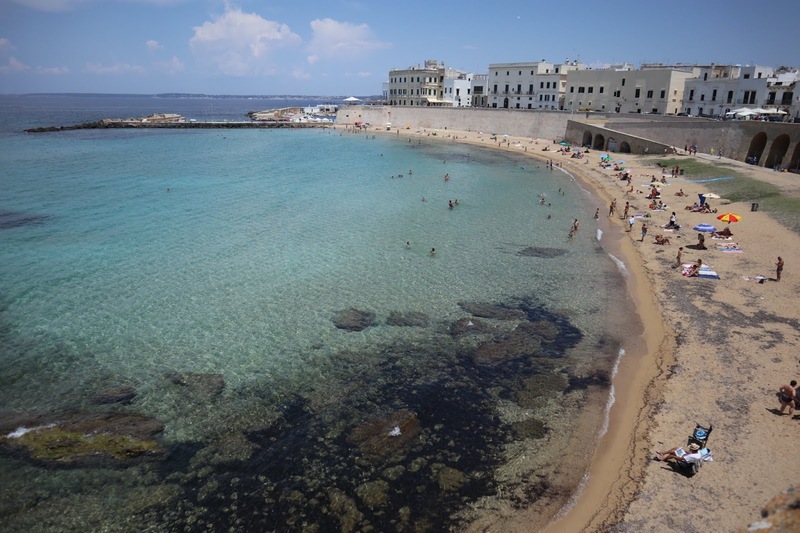 Puglia in Southern Italy has been at the top of my travel wish list for some time after a well travelled friend of mine declared it was “the best place in Italy" she has ever been. Wow- I gasped it must be worth a visit. Firstly, I needed to learn how to pronounce it properly. Don’t dare make it sound like an area that got it’s name from cute snouty dogs! If you want to sound cultured and sophisticated make sure you get it right, it’s pronounced “pool-lee-ah”. I went with my boyfriend for 7 nights. We did minimum research as we booked the trip last minute - two weeks before departure. I would describe the heel of Italy as a slice of heaven- rustic, beautiful, with no crowds, incredible to-die-for food and beyond relaxing. Just don’t expect Disco Nights- it’s not a party town. There’s no dancing on tables! 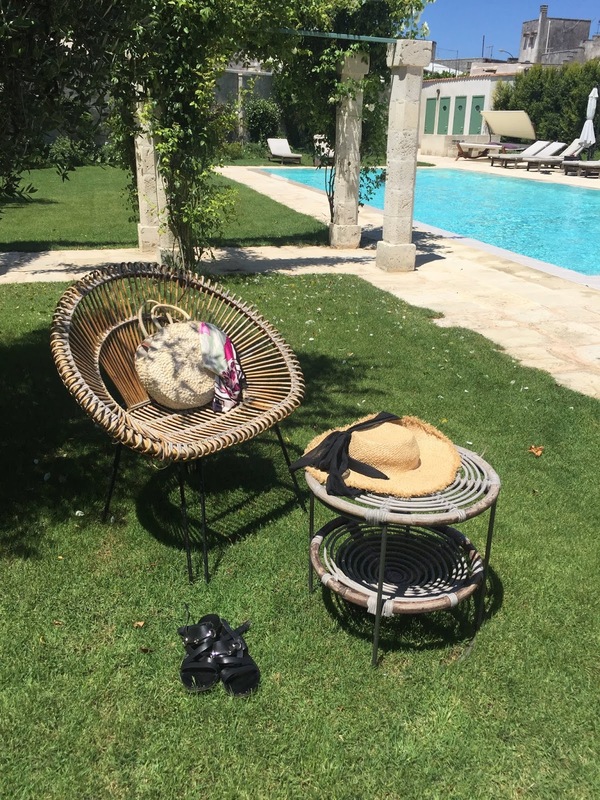 It’s more a case of rolling home after copious amounts of pasta and Rosé…. So if that’s your ideal kind of holiday keep reading! We flew from Luton to Bari. There’s two airports , Bari and Brindisi. It makes no difference which one you fly to. Ideally you want to go to the one nearest your accommodation. Definitely rent a car. Everything is really spread out and a lot of the Masserias/ hotels are in isolated locations. We stayed in three different places over the course of a week. 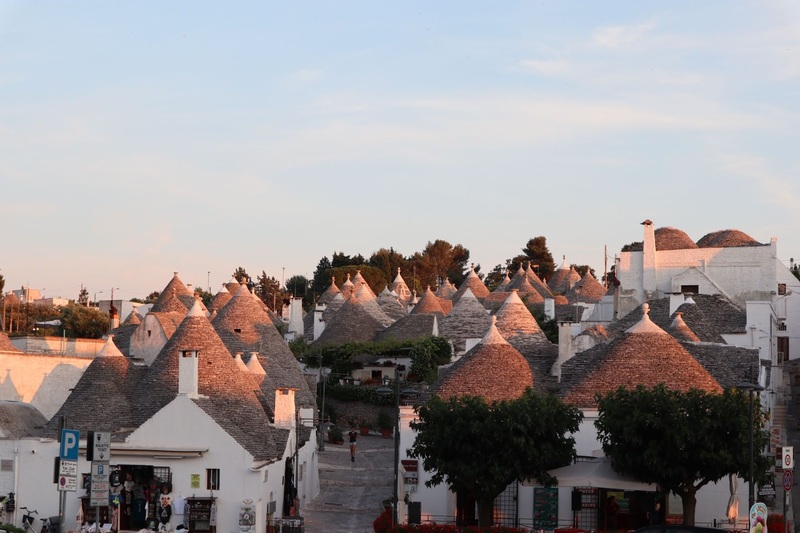 We wanted to see as much of Puglia as we possibly could. This is the sister hotel of the famous Borgo Egnazia. It’s romantic, remote, and 200 meters from the beach. We stayed in a suite which had two large rooms and a private outdoor terrace with ocean views. The best part about this place is the food! Dinner is included in your stay and I think it was probably one of the best meals I ever had in my life. There’s 4 courses of organic fresh locally grown traditional Italian food. Think the ultimate death row meal! We rolled out of this place! This is on a farm and vineyard (definitely ask for the house wine when you are there!). It has a stunning swimming pool and the staff were so lovely. It was slightly more modern than Masseria Cimino however, it’s very quiet. Warning: there is no bar in this place! One night we begged the gardener for a bottle of the house wine! LOL! Masseria Fumarola is perfect for couples looking to chill out but we felt like two nights was plenty. This was the most luxurious hotel we stayed in. It’s a 16th century palace that was converted into a hotel a year ago so everything has been renovated and updated. The interiors are beautiful. There’s a huge pool, spa, outdoor yoga, on site masseuses for massages and an in house chef. Crianza- For Food Lovers- We stopped here for lunch during our visit to Lecce and loved this place! Terra Nostra, Otranto- this was one of the best value meals we had and it was delicious. Very traditional tasty Italian food. The electricity went out in the whole of Otranto while we were getting desert which we were told is very common in Southern Italy. Cantine Menhir - this is on a vineyard and offers wine pairings with every meal (which you don’t get charged for!). We had a four course meal and the equivalent of a bottle of wine each and the bill came to 45 euro! The food was next level delicious. Masseria Cimino- see above in “places to stay” section. Ristorante Hotel Grotta Palazzo- This is the breathtaking restaurant that is nestled into a cave by the ocean. You’ve probably seen it on Instagram! I put it in “where to see” as oppose to “where to eat” because to be honest the food was average and really expensive. It’s worth seeing in person but I would suggest that you go for lunch and split one menu. The food was extremely disappointing given that we had eaten at such fabulous restaurants in Puglia. Lecce- This area is known as “The Florence of the South” and totally worth a visit to see the stunning Baroque architecture. The main city is over 2,000 years old and feels like entering some kind of past life. History buffs will love checking out the Roman amphitheatre which is now used for arts events. Gallipoli- this beach town is nestled on the inside of the heel of Italy and was one of my favourite places that we visited (An Italian waiter in London highly recommended it to us so we trusted him!) Many beaches in Puglia are rocky with stones but this is one of the few sandy beaches. The water is crystal clear. It truly lives up to it’s name which translates to “beautiful city” in Greek. “The Maldives of Puglia”- we didn't make it down to the very southern tip of Puglia which is known as the Maldives of Puglia. Pescoluse is one of the premier beach destination with clear water and white sand. -As I mentioned above definitely rent a car. We rented one with Bluetooth which allowed us to use Maps for navigating. We did sooo much driving! Also, make sure you get comprehensive insurance. People drive a little crazy !! -Bug spray. A lot of masserias are on farms/ vineyards which have many bugs and insects flying around. Hi, I'm Ruth. I'm a TV presenter/ writer/ fashion lover/ hyper human being! I'm currently based in London after living in Los Angeles, New York and Dublin. I started this blog as a creative outlet to share all my ideas and experiences. Hope you enjoy it! Am I a London Girl Yet? © Modern Flux . All rights reserved.